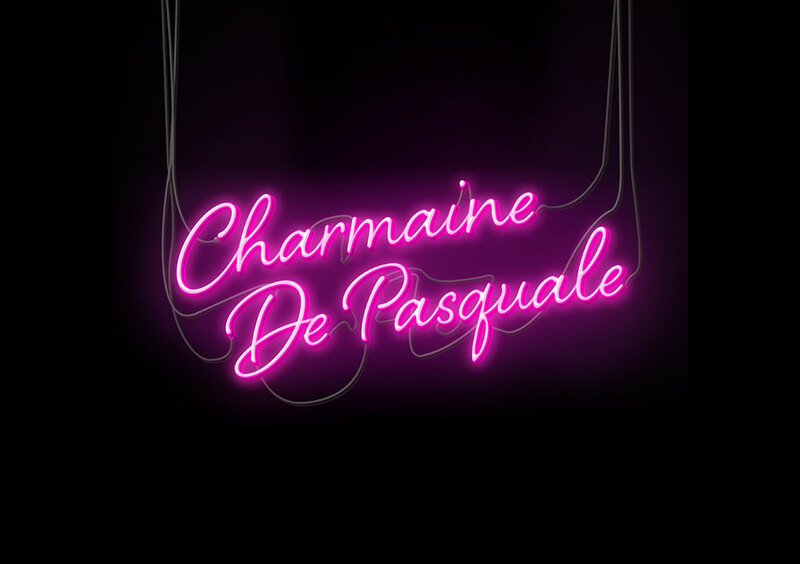 As a celebrity and personal stylist, wardrobe stylist and a costume designer, Charmaine DePasquale has worked on top rating TV shows (MasterChef, Australia’s Got Talent) and award shows (ARIAs), styling the best in the entertainment business. It was only fitting that her logo and branding be centred around having her name scrawled in hot pink neon lights. Her identity is bold, daring and colourful. The flow of the font also counteracts the length of the name and neon halo adds dimension and wow factor.